← Accept Your Mission! It’s Not Impossible! Focus Your Energy, Wisely! 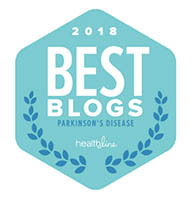 EverydayHealth.com Recognizes ASoftVoice.com Blog as One of the 10 Parkinson’s Disease Blogs to Help You Stay Fit and Positive! 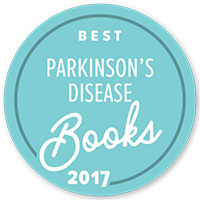 Recently, EverydayHealth.com recognized ASoftVoice.com, as one of the 10 Parkinson’s Disease Blogs to Help You Stay Fit and Positive. It is such an honor to be included with so many outstanding websites! Many of the chosen blogs on the list are included on our blog resource list. 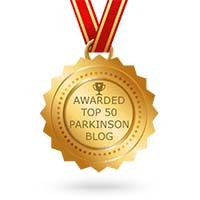 If you know of a blog related to Parkinson’s that we overlooked, please let us know and we will check it out! Thanks to EverydayHealth.com and to you, our readers! Congratulations to the other bloggers on EverydayHealth’s list and to every blog sharing their important story! Posted on June 4, 2018, in Education, Education & Support, Health, Media & Trends, Parkinson's Disease, Uncategorized, Wellness and tagged 2018 top Parkinson's blog list, a soft voice in a noisy world, award, best blog list, best in blogs list, blog, book, doctor, doctors, dreams, EveryDayHealth.com Recognizes AsoftVoice.com Blog!, Health, honor, illness, Karl Robb, media, medicine, news, Parkinson's Disease, PDPatient, positive thinking, support, top Parkinson's Disease blog list, wellness. Bookmark the permalink. 2 Comments.